A personal injury is any type of accident caused by one person that injuries another individual. The “injury” can be property damage or physical harm like a broken arm or lacerations. The accident can be any time of accident from a car accident to a doctor operating on the wrong body part. A personal injury law firm phoenix az is available to help those who have suffered from an injury caused by another person or a company. Before hiring a law firm, it’s best to understand why some Arizona laws are important to a personal injury case. Arizona limits the amount of time a plaintiff has to file a lawsuit. This means the plaintiff must file a lawsuit within a certain time period to continue their case or reach a settlement with the defendant. The state requires a plaintiff file their case in court within two years from the accident. This means the statute of limitations starts the day accident occurs. It ends on the same day two years later. The state has a separate statute of limitation if Phoenix, a county or Arizona is the defendant in a lawsuit. Arizona limits the amount of time a plaintiff can sue to 180 days to file a formal claim. The plaintiff also has one year from the date of the accident to file their lawsuit in court. The state will hold the plaintiff responsible for their own injuries if they were partially or completely to blame for the accident. This is called comparative negligence rule. The rule is that the jury can decrease the amount of the plaintiff’s award if they were found to be at fault for the accident. The jury award is reduced by the percentage of their fault. For example, if a plaintiff was found to be 20 percent at fault for their injury, their award would be reduced by that much. The amount is reduced because a plaintiff is supposed to protect themselves from harm. If they were at fault, evenly slightly, for the accident, then they should not be rewarded by receiving 100 percent of the jury award. That is the assumption made by the comparative negligence rule in Arizona. A plaintiff can fight the rule by presenting evidence that they were not a fault. In Arizona, there is no limit on the amount of damages a plaintiff can receive. Damages are the accident-related expenses a plaintiff incurs because of the injury. These damages include things like medical bills, property damage and lost wages. Each of the damages must be proven in court to obtain money. 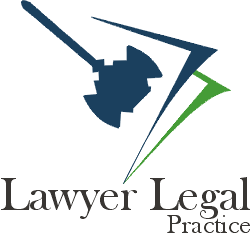 It’s important to hire a law firm in Arizona that will represent them in negotiation and at trial. Many cases are decided out of court and requires an attorney to get their client the highest settlement possible to cover past, present and future bills.